Even before most candidates for the 2020 Democratic presidential primary have made their announcements, the battle has begun. 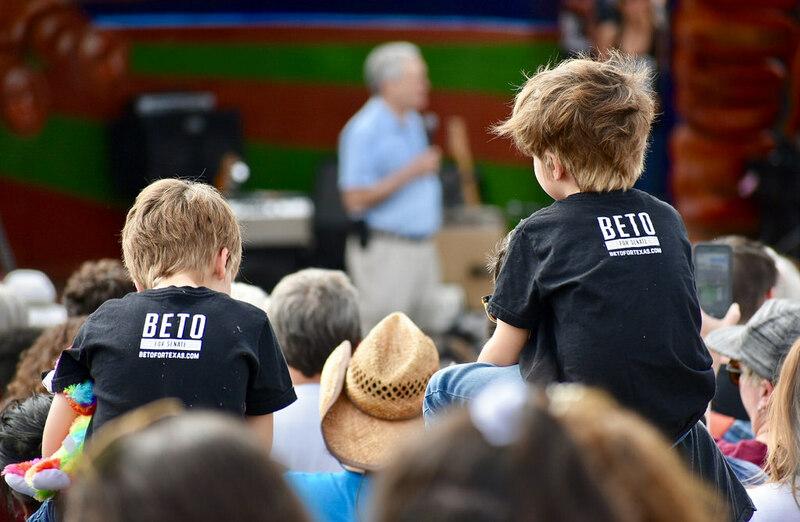 If the back-and-forth between supporters of Bernie Sanders and Beto O’Rourke is any indication, one of the lines of attack will be the way these candidates have raised money in previous campaigns. So it might be helpful to clear the field of some of the ways that information is already being twisted. As an example, Sanders supporter David Sirota claimed that there was something nefarious about the fact that Beto O’Rourke ranked number two on the list of top recipients of money from the oil and gas industry. Of course that is supposed to indicate that the former congressman is beholden to the titans of the corporations that he holds most accountable for climate change. Sirota was technically correct. O’Rourke was the recipient of $492, 620 from the oil and gas “industry” in 2018. But there’s a reason why I put the word industry in quotes. Corporations are not allowed to make contributions directly to political campaigns. The donations included in that tally came from people who work for oil and gas companies. That means that everyone from office clerks to CEOs who work in the largest industry in Texas contributed almost $500,000 to the O’Rourke campaign, while no one was allowed to give more than $2,700. Keep in mind that O’Rourke raised over $80 million for his senate campaign, which is a staggering amount of money. That means that contributions from individuals who work in the oil and gas industry made up a little over 0.6 percent of the total he raised. All told, O’Rourke was the #1 recipient of donations from people who work in 35 different industries, from accountants to nurses. Civil servants actually donated well over $700,000 to the O’Rourke campaign, or 0.9 percent of his total. To get an idea of how this information is twisted, take a look at how Cenk Uygur distorts it during a broadcast of The Young Turks (6:07 – 6:52 in this clip). Uygur accurately states that O’Rourke received over $400,000 from employees who work in the oil and gas industry. But then he suggests that there was a coordinated strategy among thirty “top executives” who maxed out in their donations to O’Rourke. We can all do the math. Thirty people giving $2,700 each comes to a grand total of $81,000, even if we give Uygur a pass on how he defines a “top executive.” If that was a coordinated strategy, then it failed miserably. Those oil and gas executives donated a grand total of 0.01 percent of the funds raised by O’Rourke. But Uygur goes on to suggest it was in the hundreds of thousands of dollars. He obviously didn’t do the math. The only way that corporations can donate to a campaign is via a political action committee. O’Rourke refused to take to take PAC money and actually said this when interviewed by Christopher Hooks back in October 2017, long before he gained any national media attention. As critics try to paint O’Rourke as some kind of corporate lapdog, the real story is that he accomplished something amazing. Following in the footsteps of the presidential campaigns of Howard Dean, Barack Obama, and Bernie Sanders, he figured out how to circumvent the issue of big money in politics by inspiring millions of people to donate small amounts of money to his senate campaign. Until the Citizens United decision can be overturned, O’Rourke’s campaign is the best hope Democrats have to compete in a way that doesn’t even hint at corruption. The problem with the current crew of critics is either that they don’t understand how our campaign finance system currently works, or they assume you don’t. I can’t do much about the former, but I can sure take a shot at the latter.